This past weekend, thousands of people from our community got together to celebrate the birthday of our wonderful city. A few months ago, I jumped onto a committee to help plan this giant birthday bash called LevelUp. 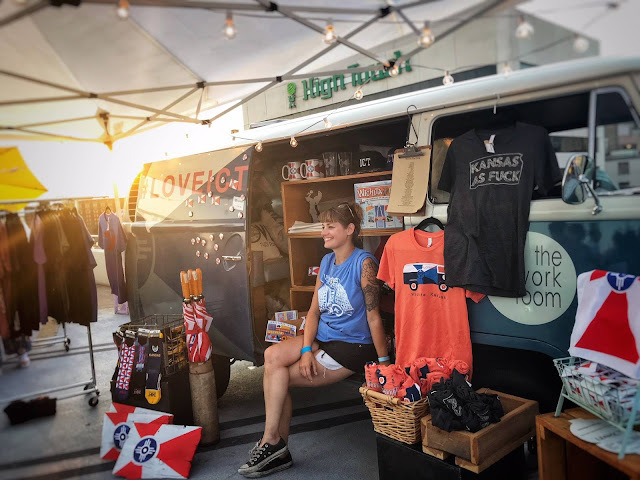 Janelle, owner of The Workroom, was leading the way on creating an event in a recently renovated parking garage in downtown Wichita. I decided to help on the "birthday cake" aspect, as well as figuring out a way to create a large impact balloon installation on the garage. The balloon install was so fun to work on! I reached out to my local contacts at Qualatex Creators, Pioneer Balloon, and we got to work on brainstorming a fun way to make a big impact that was doable in a short amount of time. They are always amazing to work with, and they have a talented team of artists that were able to pull this off. 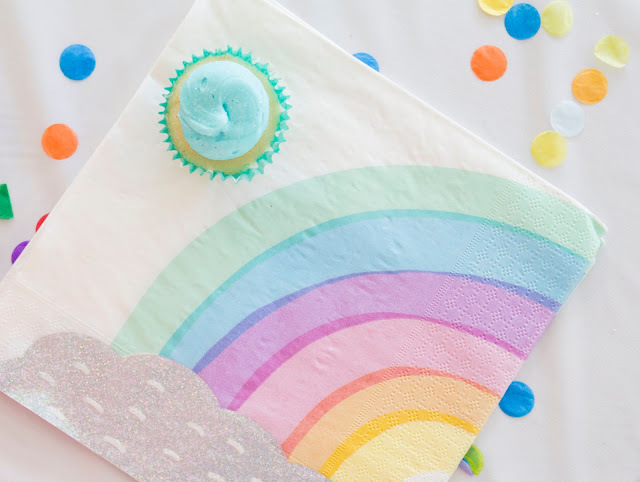 It was such a fun way to add color to the party, inside and out! Plus, it was entertaining spending our early Saturday morning figuring out how to caravan this many balloon bundles downtown - proud to say we did it in one trip! They each contributed mini cupcakes for guests to enjoy while supplies lasted, and a couple made beautiful cakes! To add some incentive, we had a few local guests judge the competition and pick their favorites. It was definitely a hard decision that they discussed for a while! They will receive an ad with Midwest Billboard - amazing prize! They will receive two months membership with Best in Wichita! Great group to work with. 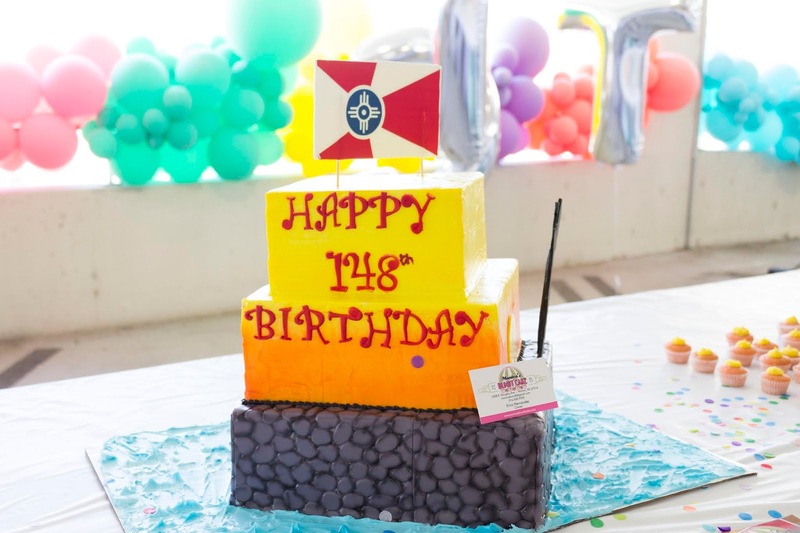 Such a fun way to serve "birthday cake" to the attendees. We also were able to have Reverie's bakery, Founder's, make a special birthday cake for the Vice Mayor to blow out candles on after the Wichita Symphony played "Happy Birthday!" It was such a fun event and every level had something to offer. So many great people in Wichita came together to pull it off, and we did it! Definitely head over to the event page to check out more pictures from the other levels. Special shout out again to Janelle for spear heading the project and another thank you to all the amazing committee members and volunteers!